Running options in downtown Miami are limited. There are no major parks or running trails in the immediate vicinity of downtown. 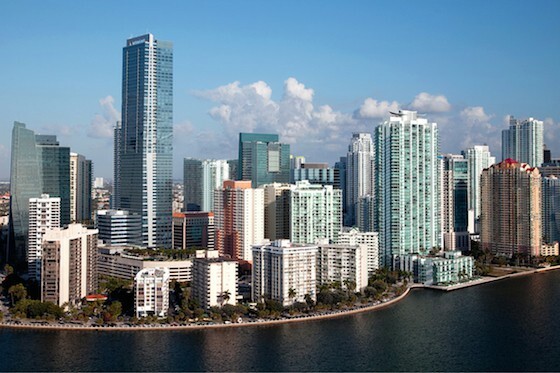 The best bet is the Brickell area, getting down to scenic Brickell Key. There is a short river walk trail off Brickell Ave./Rt.1 out to Brickell Point. Otherwise, it’s Rt. 1, with sections not having an especially good sidewalk. We’ve put together a 5-mile run incorporating the best option for running downtown. Brickell Ave. & 15th St.